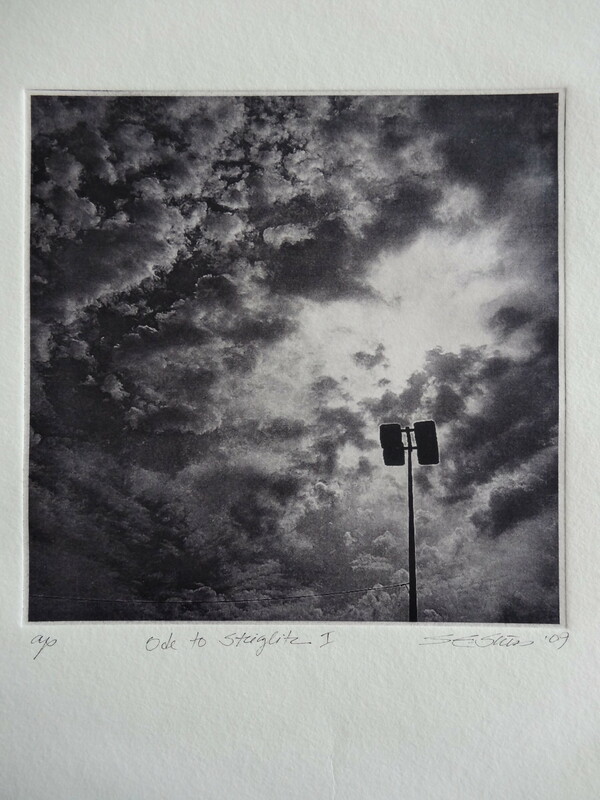 "Ode to Stieglitz" photogravure on heavy linen rag paper. Edition of 3 artist proofs. 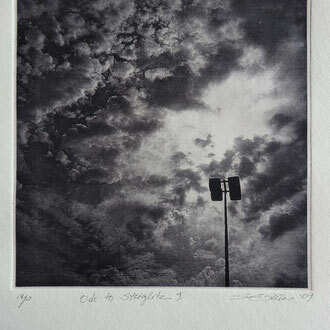 Towards the end of Stieglitz's life and monumental career, he changed his photographic style to simple black and white photos of cloud formations. An impressive turn-around that stimulated me and inspired this small edition.